Counseling, delivered by an approved provider, before the bankruptcy case is filed, is now a requirement enforceable by dismissal of the case. That’s my “C” word in the bankruptcy alphabet. Prebankruptcy counseling is supposed to insert an objective third party between the beleaguered individual who needs relief and the greedy lawyer who, according to legend, is hustling everyone into bankruptcy, even those who may have other alternatives. The requirement for such counseling is largely built on myth. Most importantly, in my 30+ years of experience, very few people are willing to even meet a bankruptcy lawyer unless their debt problems are serious, usually really serious. So bankruptcy lawyers rarely come in contact with people who don’t need to file. When I interview a potential client and recommend they don’t file, it’s usually because they have significant assets they’d lose in bankruptcy. The cost of debt relief is simply too large relative to the cost and the loss. But let’s assume I was more interested in my fees than my client’s welfare, Congress’s remedy in credit counseling doesn’t look at the value of the debtor’s assets and the exemptions available. If they did, the “counselors” would be practicing law. 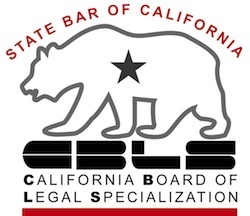 The person at the end of the phone is certainly not licensed to practice law in California, or in reality, anywhere. By requiring credit counseling, Congress managed to increase the cost to the debtor of filing a bankruptcy case. It also spawned an entire industry. At the recent NACBA convention, there had to have been two dozen providers of credit counseling, clamoring for the attention of bankruptcy lawyers. That’s the venial part of the story. The sad part is that those who try to file bankruptcy without a lawyer frequently don’t know about the counseling requirement or the mechanism to seek a waiver. Since 2005, the bankruptcy code requires the dismissal of cases where there is neither a credit counseling certificate or a properly obtained waiver. Pro pers look dumbstruck when they learn that, having navigated the system sufficiently to have filed their case on their own, the case will be tossed out because they didn’t get credit counseling before they filed. As it is, this post is brought to you by the letter “C”. Nice article. I think that bankruptcy should be your last resort since it has a lot of effects on you and your family. It’s necessary to go for counseling first which is just as effective. Bankruptcy is obviously not the first choice for those in debt. But I have never had any client report that pre bankruptcy credit counseling added to their fund of knowledge or found that they didn’t really need to file bankruptcy. On the other hand, many clients praise the post filing debtor’s education exercise.